Economizer Coils find their applications in downstream of Boiler bank for preheating the feed water that absorbs heat from hot exhaust gases. 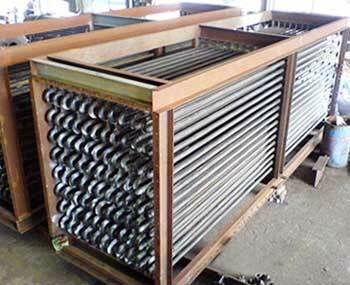 Fin Tube Economiser Coils offered by us are available in various specifications as per the different demands of the clients. Today, we have carved a niche as one of the predominant Economiser Coils Manufacturers based in India.